Should You Use Protein Supplement or Not ? Protein is one of the essential nutrients required by the body. Everyone knows about the vitality of protein but lack of awareness have been making people sceptical about its use. Until sometime back, we used to see advertisements or hear stories about use of protein by bulky bodybuilders and wrestlers. But nowadays, protein is one of the hottest supplement among everyone ranging from high performance athletes to post-surgery patients and from elders to growing teens. Protein is not only an important building block of muscles but it also helps to take care of blood, cartilage, bones and all-round immunity. According to DRI (Dietary reference intake) a sedentary individual needs about 0.8 times his/her weight. So, a 70kg man would need 56g protein everyday. However, if you are sweating it out in the gym dumbbell after barbell after presses, you have to strictly and religiously keep a track on protein intake. It is recommended to consume 1.5-1.8 times the weight for ones who are trying to build muscles. Protein consumption is not that difficult because it is often found in tastiest things available – Chicken, fish, paneer, milk, eggs etc. However, for the ones who undergo fitness training it is often difficult to meet large amount of protein requirements. You can check protein content of various items over here. Its where protein supplements and powders come to rescue. Protein powders are usually a powdered form of protein extracted out of soya, pea or dairy (whey). Well, there has been use of insects for this purpose as well but it’s yet to pick up commercially. They can be mixed with milk or water to make shakes or smoothies depending upon taste-buds. They are all-round supplements whose intake vary with age and profession. 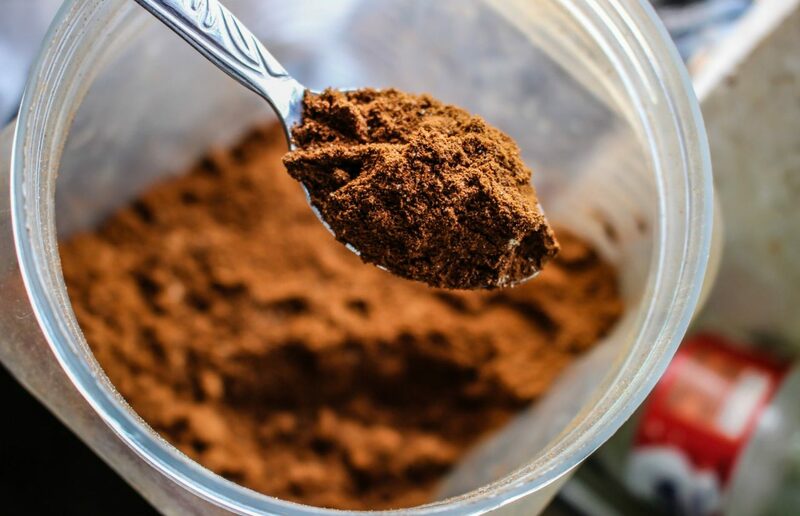 A sportsman may require more protein powder in their daily consumption than a fitness enthusiast, depending upon how much energy is invested per day. Can I Use Protein Powder If I Do not Workout? Yes you can. Everyone needs protein depending upon their age, profession and amount of physical activity they do. You can calculate the amount of protein you are getting from your diet and make up for the deficiency through protein supplement. If you are prone to missing out on your meals, then protein supplements can provide you with required protein and energy to cope up for the loss. However, it is not advisable to consider these supplements as a meal replacement option. Helps in Fat Loss- Increased intake of protein helps in burning more fat and increasing muscle mass. Quick Absorption- Amino acids found in most protein powders can boost metabolism rate and aid with proper muscle growth. Quick absorption ability of whey protein makes it a perfect choice immediately after workout. Lowers Cholesterol- Due to its quick breakdown, protein powder can substitute heavy food that leads one to be obese, thereby denying any extra fat in the body. Lowers Chance of Cardiovascular Disease and Blood Pressure- Protein powder shakes aid in reducing blood pressure in patients suffering from heart disease and hypertension. May Cause Harm to Body- There might be injurious substances in protein powders that are not suitable for all bodies. For example, stimulants in some protein powder might have long term side-effect such as seizures and kidney failure. Shortage of Nutrients Protein powders are good substituted elements in a diet but do not equate to the natural nutritional values of whole-protein ingredients such as eggs, fish and meat. Food rich in vitamins and anti-oxidants are higher in nutritional value than that of protein powder alone. Chances of Side-effect Certain herbs and ingredients may not sit well with all types of immunity and allergies. Many herbs and components may be harmful for pregnant women or children, while some might be allergic to certain constituents. While Protein intake might sound like an essential support for your fitness regime, it is important to seek advice from nutrition or gym instructor before introducing supplements into your diet.